When I said that I will be flying off to Taiwan soon and ask for recommendations, the first thing that people would mention is homestay. 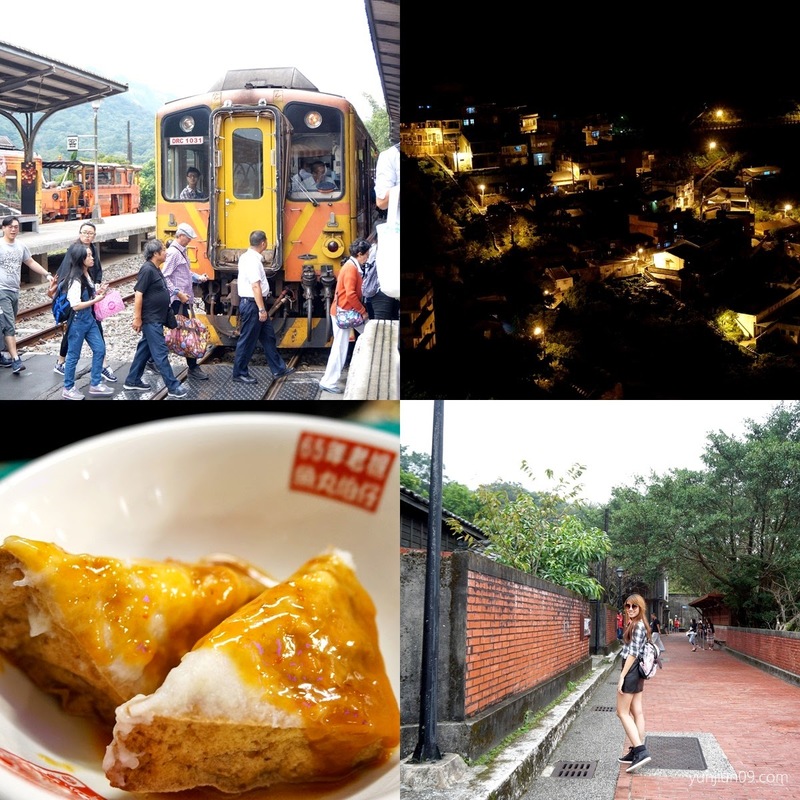 Homestay is one of the most popular accommodation in Taiwan; it offers cheaper price yet giving the same or even better services than hotel. I'm so glad that I get to experience two different kind of homestay while I'm up here in Jinguashi (金瓜石). 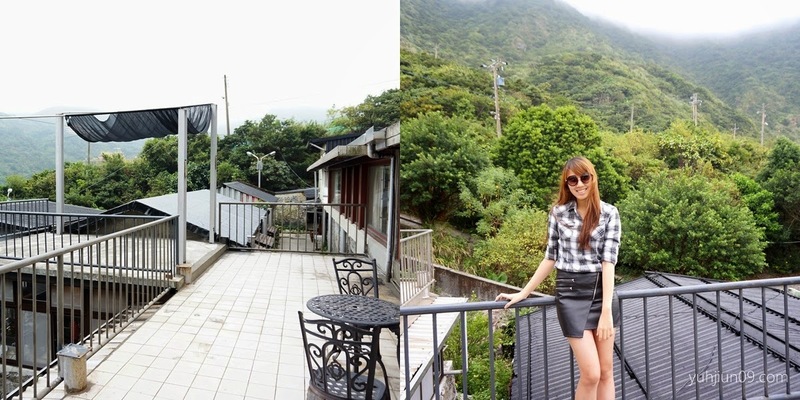 Here's where I stay on the second night in Taiwan, Cloud Village (雲山水小築民宿). Cloud Village is one of the oldest homestay in this area, hence you can see that all the furniture and decorations are very traditional yet well maintained. I was also shocked to hear that the pentroof is made up of asphalt where people use it for paving. Back in 20 years ago, asphalt is one of the cheapest and feasible option. Contrary to Levite Villa (利未庄园民宿), Cloud Village offers a different view of Keelung Mountain (基隆山) as well as the Yin Yang Sea (阴阳海) but unfortunately it's all covered up by mist. Then we were brought to our room and settle down before heading out to explore this beautiful town. Cloud Village is not a building but they have a few different spots around catered for different needs. Hidden inside the secluded lane are not rooms, but individual portals respectively. I was so surprised when I entered the room house because it's way too much for two people to stay in and it has two floors. It possesses its own living room, small kitchen and separate bathing and grooming facility just like a home. Air conditioner, coffee and tea making facilities, fridge, stove, toiletries and even tourist information are all provided as well as TV. Usually I do not have any special requirements towards washroom as long as it provides mirror, hair dryer and cleanliness are well maintained. This is how the upper floor looks like. There are a few tatami mats hence the stone lodge which I stay in can actually accommodate up to 4 persons even though there's only one double bed. 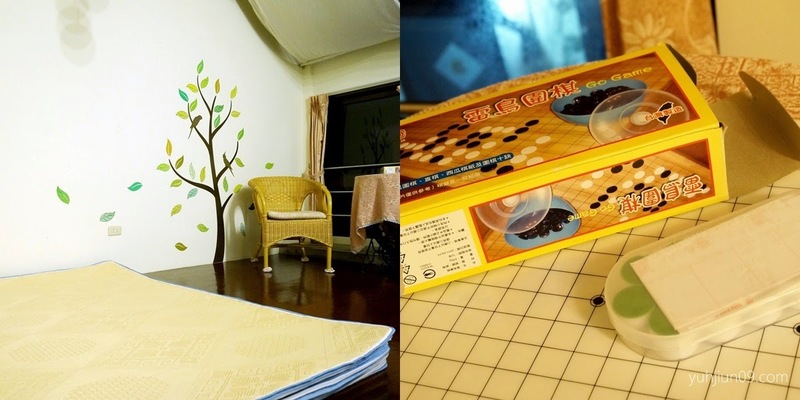 Books and various board games are prepared by the host as well. As I've mentioned previously, Taiwanese are very much emphasize on health which same goes to Cloud Village's host that she only uses organic ingredients while preparing breakfast. Honestly I was a bit disappointed at first because normally hotel prepares western style breakfast with snacks like kokokrunch or honeystar (very much like a kid, I know! :P) but guess what, this is so yummy and got me addicted once I tasted it! I feel so warm and touched to have taken care of even though I'm 1847.61 miles away from home. I also feel grateful that the people I've met by far are so kind and friendly. Similar to Levite Villa's host, she starts introducing me the attractions nearby, how to get around and visit all places in the shortest time yet the most economic way once she greets me. I realize most of the homestay here acts like a tourist information center that the hosts are very familiar with the transportation, routes, attractions and etc around Jinguashi. They also have a few vacation brochures in-house and close contacts with tour guides, so no worries even if you come here without planning at all. I'm so glad that we have a pleasant stay here in Cloud Village and I will revisit this place again! Everything is perfect here except that transportation may be a problem, hence you may need to communicate to Cloud Village's host beforehand if you need a ride to and fro any bus station nearby unless you're very familiar with this area that you can walk around. Cloud Village offers a whole new experience even though it's just located two house away from Levite Villa. For the stone lodge (No. 78, Golden Secluded Lane 隐巷金) which I stay in, it costs NT 4000 per night and it can accommodate up to 4 persons with the extra tatami mats. New Taipei City 224, Taiwan. For traffic information, please refer to my previous post (link) on how to get to Jinguashi by public transport. You may need to contact the host beforehand if you need a ride from the bus station nearby. I personally think that there are many things that you can do or see around Jinguashi (eg. 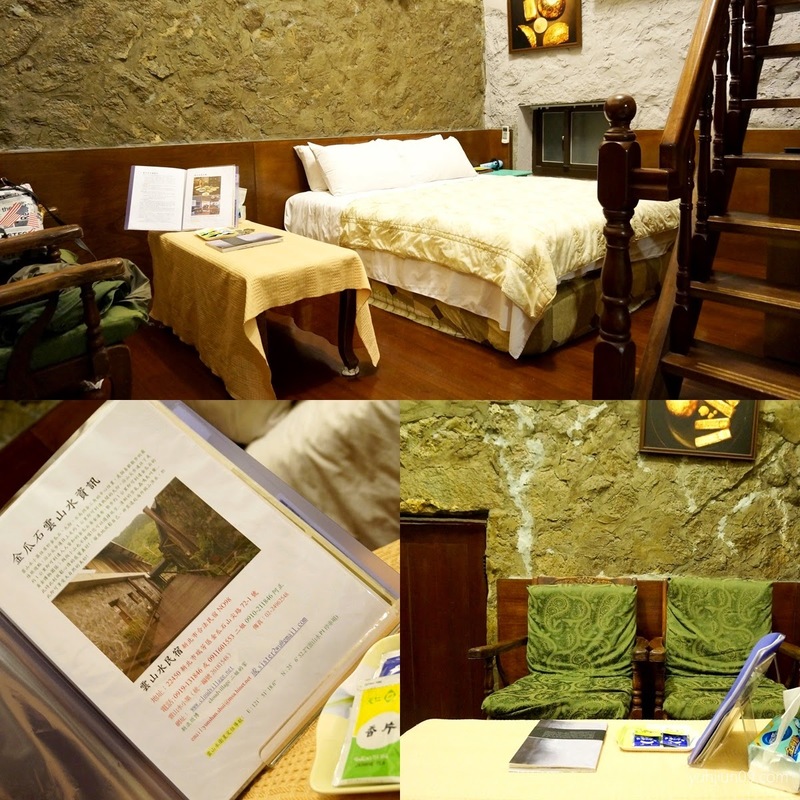 Jiu Fen (九份), Shi Fen (十分), Ping Xi (平溪)), therefore I would suggest you to stay here for at least two nights but of course it's up to your own preferences. Cloud Village is located about two house away from Levite Villa (which I've mentioned in previous post), hence you may choose to stay 1 night each if you would like to experience both homestay. 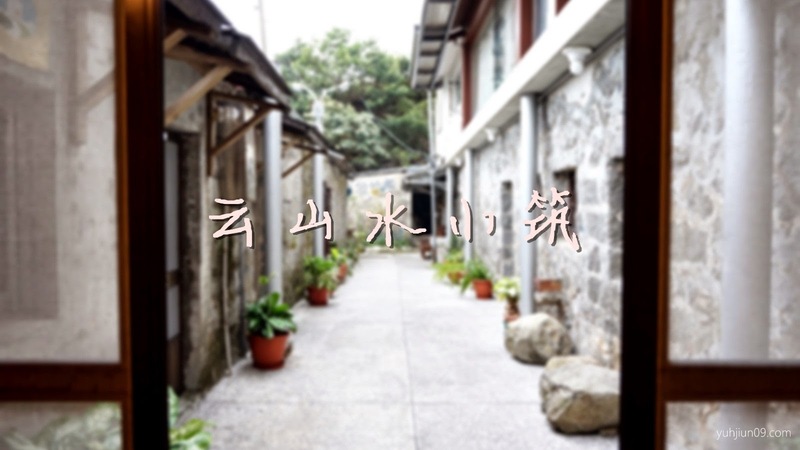 For the stone lodge which I stay in, it's located at Golden Secluded Lane (No. 78, Shanjian Road) which you need to pass through a long stair, hence those elder one, disabled, or carrying large suitcase are not recommended. Cloud Village is not a building like Levite Villa but they have a few different spots around (eg. 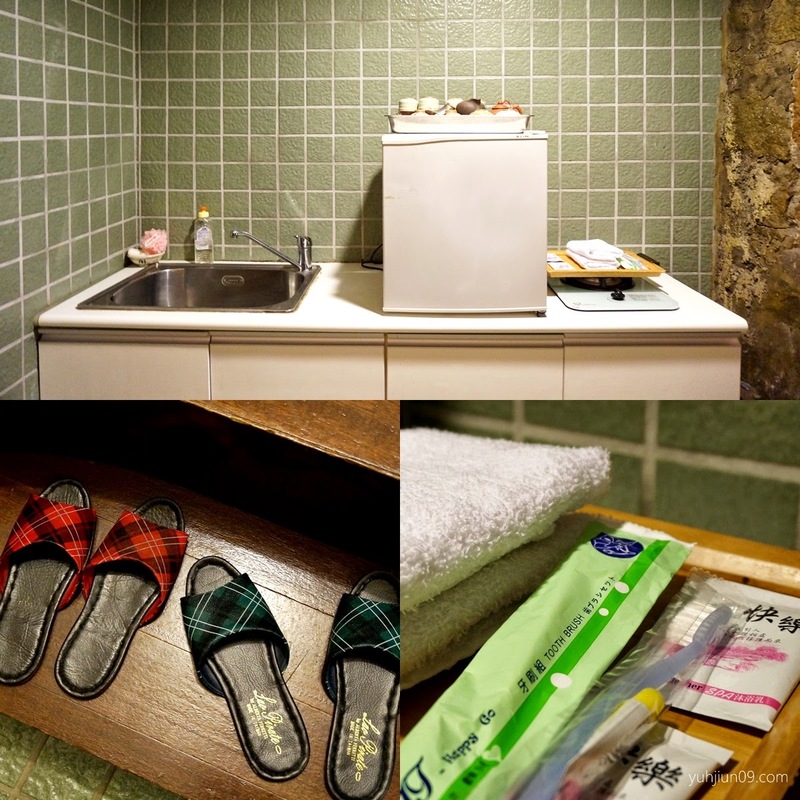 Chez de Jinguashi, tree house, mountain lodge) catered for different needs. Therefore, you may need to communicate with the host when making reservation. The view and the interior design look beautiful there. its really comfortable place to relax and holiday. the room is pretty cute with all the plushies! will consider this accomodation if i ever revisit tw! the home stay looks super comfy! love the decor as well! Seems like a lovely place to stay! I'm sure you would have had fun! The view is so gorgeous! I would love to be able to travel one day. Thanks for sharing this! Soon I'm also planning on visiting Taiwan. It seems like a pretty interesting place to visit! looks so realxing ,at first i think it was Japan when i look at the first pic but not! gonna mark my travel wishlist bucket then!